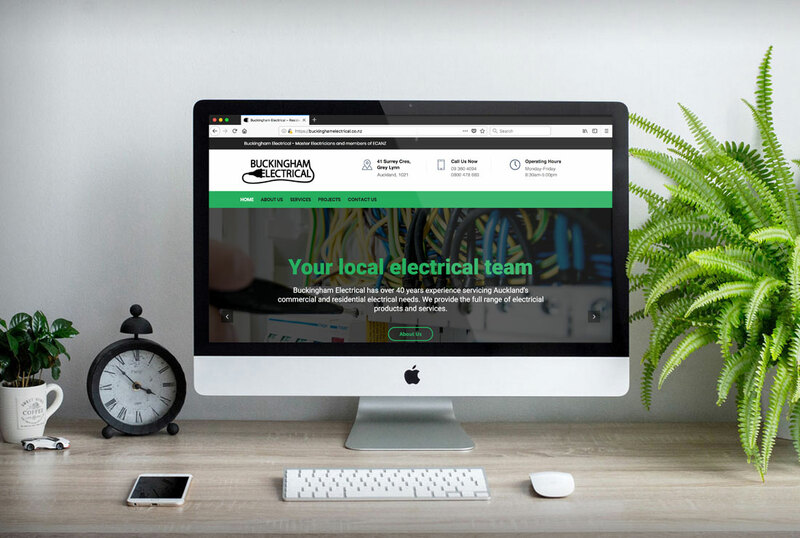 Buckingham Electrical has been in business since 1976 working in the inner city and throughout the Auckland area, they pride themselves on completing work efficiently and at a competitive price. They are Master Electricians and members of ECANZ., Electrical Contractors Association of New Zealand which sets guidelines for electrical contractors and best practice in meeting the required standards of today. 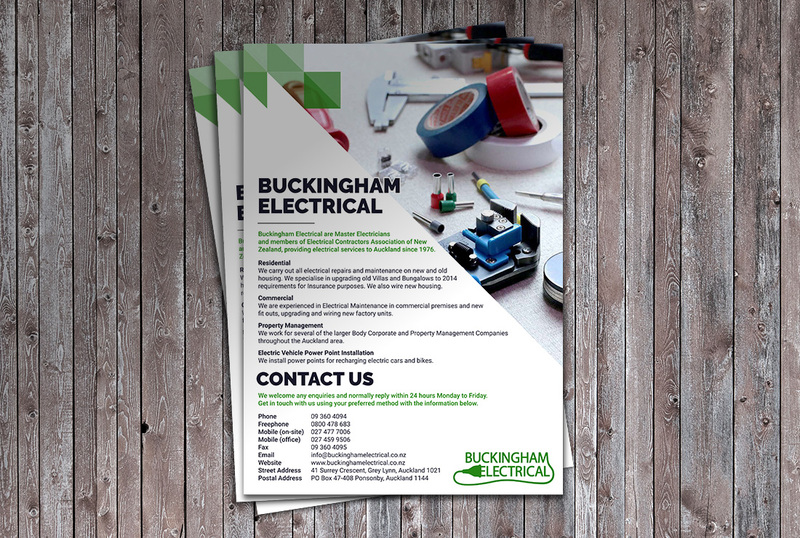 Buckingham Electrical realised that they were losing a lot of potential business without a website and asked us to rebrand their business and build a website to promote their services as well as allow customers to contact them easily. We love working with SMBs and enjoyed developing an affordable and effective website that has increased their web presence and business. We provide a broad spectrum of services which can be tailored to suit your business needs and budget. From a simple design job to a business-wide media management solution, we can scale down or up as you require. © Vida Loeb Ltd. All rights reserved.